Personalize this adorable “It’s a Boy!” Baby Carriage birthday, melamine dinnerware plate! 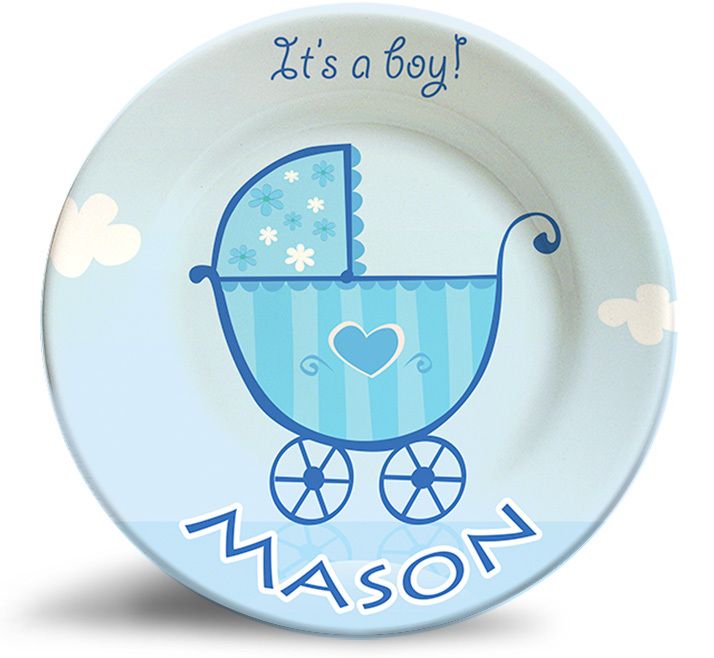 The vintage “It’s a Boy!” Baby Carriage birthday, personalized melamine dinnerware plate is an old-fashion design dinner plate that is dishwasher safe and will never fade. This classic design celebrating the coming of a new baby boy makes the perfect baby shower gift! 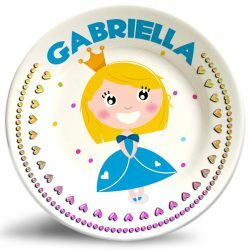 Randesign has been making personalized dinnerware plates for kids since 1975 (see our other Vintage Plates). In the late 90s, our technology for printing on melamine plates got even better and our color accuracy and vibrance is unmatched. 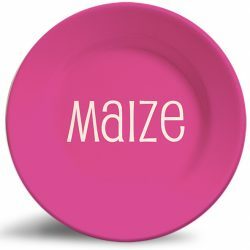 These dynamic dinner plates make eating those vegetables so much more fun – as they learn to spell their names! 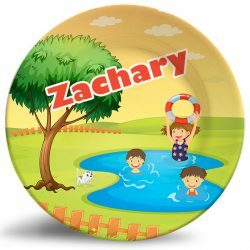 Each durable melamine plate is personalized with the desired name and is custom printed onto the dinnerware plate along with the colorful illustration of your choosing. 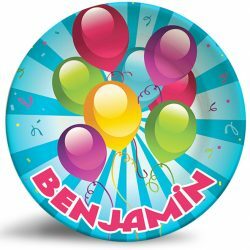 These unique plates become keepsakes make the perfect gift for those otherwise humdrum baby showers and birthdays! 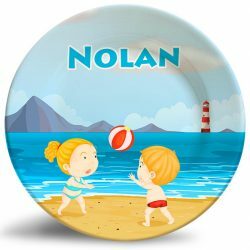 Check out our reviews and you’ll see many reviews from people that are buying our personalized plates for their third generation! Oh, and we have really HOT designs! I have ordered so many plates from you over the years. My daughters each have a name plate and they are now 30 and 26 years old. Now I am buying for our grandsons. Love the plates so very much. We accept Mastercard, Visa, and Paypal. 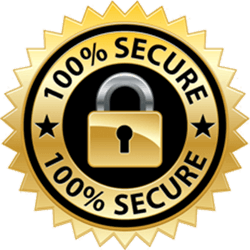 Shop confidently on our secure server. Thank you for shopping with Randesign. Click here for quick OPTIONAL opinion poll. Your chance to TELL IT LIKE IT IS! 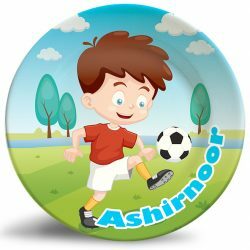 Please keep in mind that our personalized products are custom made for you and they take 2-3 weeks to produce/deliver. “Like” our NEW Facebook page!